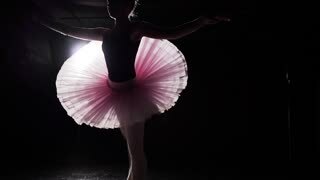 Slow motion shot of ballerina dancing in studio. Beautiful female ballet dancer on a black background. Ballerina wearing tutu and pointe shoes. Slow motion.